At Puro Prestige we love the ritual of smoking a cigar. The process of selecting, cutting and lighting a cigar is almost (almost!) as enjoyable as the smoke itself. The calm, careful process is a relaxing retreat in itself – a way for the mind to focus on a task and leave the anxieties of the day to fend for themselves for a while. Many of the cigar-smoking community work stressful jobs (or is it many people with stressful jobs smoke cigars?) and the moments when your mind can rest, letting your hands do the work to prepare a smoke are precious, invaluable. We’ve written this article for both established aficionados interested in how we like to do it, or for budding connoisseurs about to enjoy their first cigar. It’s just a simple guide for how to cut a cigar to get your smoke off to the best possible start. Why do we cut a cigar? Put simply: to create an opening large enough to draw smoke through, and do it without damaging the structure of the cigar. You’ll see characters in old movies hacking at the end with a rusty knife, or even chewing it off with their teeth, but there are far easier (and more effective) ways to do it today. It’s vital to get a good cut or A) your cigar won’t smoke properly or B) you’ll tear the wrapper or ruin the cigar. 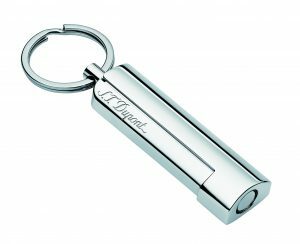 There are so many different types of cigar cutters out there that it can be a bit overwhelming for the beginner. Here’s a brief overview of the different types and what they’re good (or bad) for. Your teeth. It’s possible to cut your cigar Spaghetti Western-style, but not recommended. Your teeth are too blunt for an accurate cut, and you can end up with a mouthful of cigar tobacco. A knife. You can attempt to cut a cigar with a knife – some people prefer to. But it’s much harder to be precise and accurate with a knife than it is with a purpose-build cutter. Single-bladed cutters. These can be an effective way to cut a cigar, but are generally more difficult to use than double-bladed cutters and can be less accurate. They can also dull more easily. Cigar-cutting scissors. A classic, elegant way to cut a cigar. Specialist scissors can make extremely accurate, clean cuts but they are harder to use than double-bladed cutters and can vary hugely in their weight and balance. For a seasoned cigar smoker, they can be a nice accessory but for a beginner perhaps a leap too far. Double-bladed guillotines. These are the most common and easiest to use. They deliver what’s called a straight cut from both sides simultaneously and come at a variety of price points (and qualities). Generally more expensive double-bladed cutters from reputable manufacturers will last longer and deliver a better cut. V-cutters. These use a v-shaped blade which pushes against a dull surface to expose more surface area, which makes for an easier and more smoke-heavy draw. They’re not as common as guillotines, and sometimes they can actually create too much surface area resulting in an uncomfortably hot smoke. Punch cutters. Rather than slice of the end of your cigar, punch cutters cut a narrow opening in the end. These are less common than the other types and are more often used by experienced smokers who know what they like. The technique for cutting varies slightly between different types of cutter, so we will assume you are using the most common type of cutter a double-bladed guillotine. For this section, we’re going to assume you’re cutting a rounded cap ‘parejo’ cigar rather than a ‘figuardo’ cigar with a pointed cap. The method doesn’t differ enormously, but Parejo cigars are far more common and a little simpler to cut. First, you need to assess where you’re going to make your cut. Generally you should aim for around 2mm down from the end of the cigar on the shoulder of the cigar, where the rounded edge begins to straighten out. 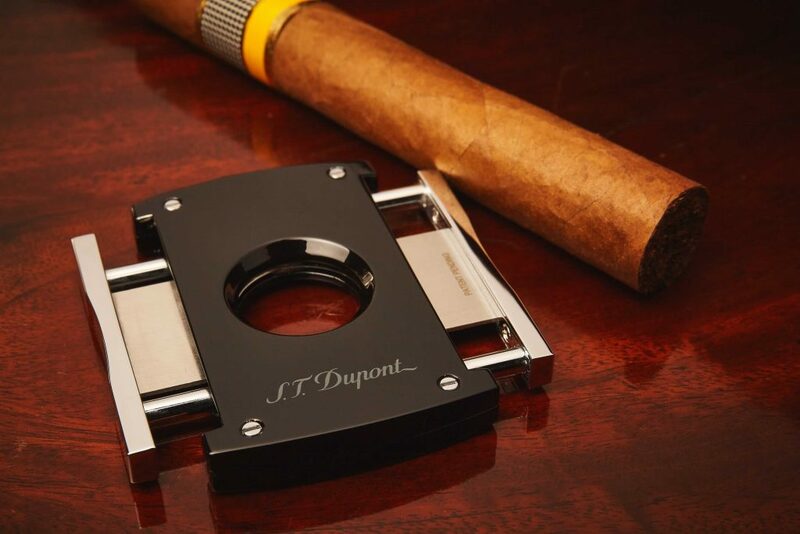 Next, place the cigar in the cutter and carefully close the blades until they just touch the cigar. Ensure they are touching exactly where you want to cut, and then close them in a quick but not forced motion. Too slow and you can pull the packed tobacco out of the cigar, too forceful and you could tear the cigar. If you do have a cigar with a pointed end, you want to cut at the point where you will reveal the same surface area as would be revealed when cutting a rounded cap cigar. This is the simplest method to getting a smooth, straight cut to allow a pleasant smoking experience. Of course, smoke a few cigars and you’ll find yourself experimenting a little and developing a personal preference. For example, some smokers cut at an angle to open a larger surface area and ensure the drawn smoke goes directly onto the palate, creating a more intensely flavourful experience. Others discover they prefer to create a small punched hole with a punch cutter or cut a V-shaped wedge. Above all, it’s vital to ensure you have a good quality cutter. Browse our selection of cutters here or email us at info@puroprestige.com if you’d like advise or a recommendation. It’s also important to keep your cigars in good condition when they’re out of the humidor by investing in a high quality cigar case. Our Hemingway Edition case is a rugged, sturdy yet stylish leather case perfect for the traveling smoker.